Ward and Smith, P.A. 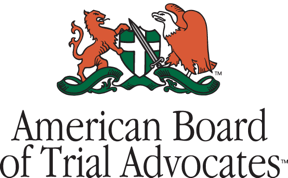 Welcomes Joanne H. Badr - Ward and Smith, P.A. Ward and Smith is pleased to announce that attorney Joanne H. Badr has joined the Firm. She is located in our Asheville office. Ms. Badr has represented clients in a variety of commercial real estate matters, including the representation of developers in the development, management, and disposition of multifamily and affordable housing. Her representation has also included assisting clients with asset‑based financings, obtaining state and federal grants and loans, and developing affordable housing projects qualifying for low-income housing tax credit, financed with conventional loans and bond financing. Ms. Badr has guided owners and developers through the process of working with the U.S. Department of Housing and Urban Development ("HUD"), North Carolina housing finance authorities, local housing authorities, municipal development agencies, private equity lenders, and banks. She also has been actively involved in the representation of commercial borrowers and lenders in closing purchases, sales, and refinancing transactions, and in the negotiation and preparation of commercial lease agreements.